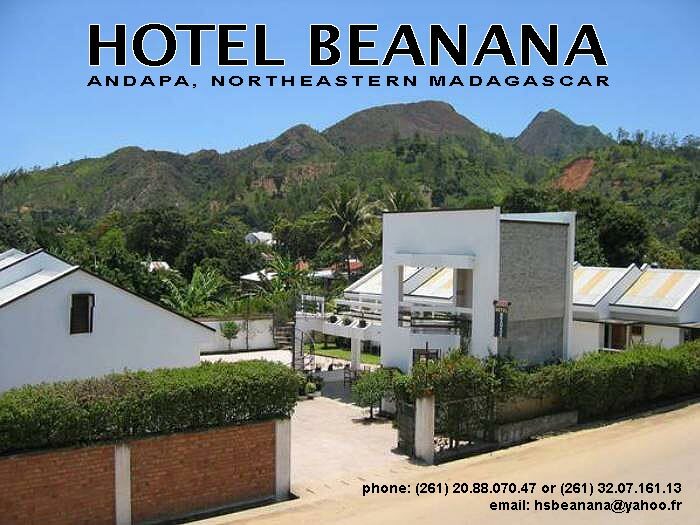 Welcome to the Hotel Beanana website! 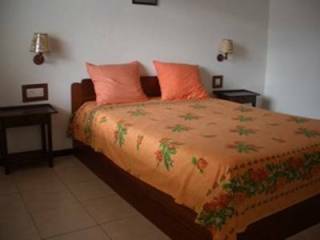 Located right at the entrance to the town of Andapa, our small, intimate hotel provides a convenient and relaxing respite in your travels and explorations through beautiful northeastern Madagascar. Our hotel has ten immaculate rooms situated around a pleasant courtyard where you can relax, have a cool drink (including one of our specialty fruit juices), take breakfast or dine on one of our delicious home-made meals (available on request). 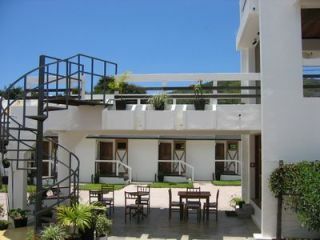 Five of our rooms open out in the back to a beautiful, cool, green garden which is always full of flowers. 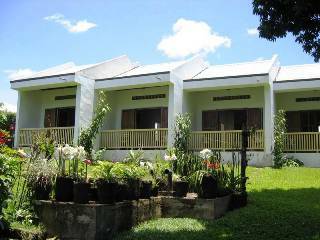 All rooms have a clean, private bathroom with toilet, shower and hot running water. 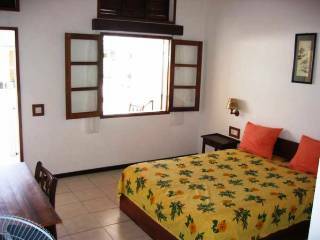 Mosquito nets are provided over all beds and fans are standard in each room. Even when the town's electrical supply goes out, our private generator maintains constant power at the hotel. Our staff are here to serve your every need. We sincerely enjoy our work and we do it with a smile (and of course with efficiency and competence, too!). The owner, Mr. Scoth Lo Pao, is a passionate supporter of the nearby wild areas of Marojejy National Park and Anjanaharibe-Sud Special Reserve, and is a wealth of knowledge about them. 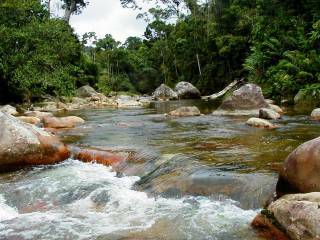 He is always delighted to help visitors organize expeditions into these stunningly beautiful rainforests, as well as all around the lovely, rural Andapa Basin. 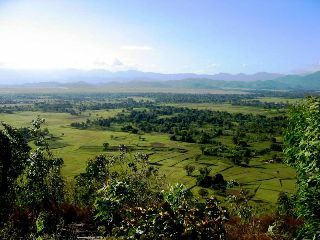 While you're in the area, ask about visiting one of the areas newest local attractions, the private Antanetiambo Nature Reserve, located only a few miles outside of Andapa! From all of us at the Hotel Beanana, we wish you a very pleasant visit.